Wyevale Garden Centre, Evesham Road, Bishop’s Cleeve. Dawn Nurseries, Shurdington Road, Shurdington. Dundry Nurseries, Bamfurlong Lane, Staverton. GL3 Community Hub, Cheltenham Road East, Churchdown. Gotherington Nurseries, Gretton Road, Gotherington. Greenway Nurseries, Main Road, Shurdington. Norton Garden Centre, Tewkesbury Road, Norton. Primrose Vale, Shurdington Road, Bentham. Tewkesbury Garden Centre, The Mythe, Tewkesbury. Toddington Garden Centre, Toddington Railway Yard, Toddington. Wyevale Garden Centre, Shurdington Road, Brockworth. Pamington Farm, Pamington Nr Tewkesbury. Over Farm Market, Over, Nr Gloucester. Those subscribed to the borough council's garden waste collection service also have the option of using their brown garden waste bins to recycle their trees. Small trees can go in the bin or alongside it. Trees taller than 2 metres (6ft) will need to be cut in half and put out next to the bin. Tewkesbury Borough Council's lead member for clean and green environment, Cllr Jim Mason, said, "The Treecycle scheme has been running for 12 years and is hugely popular with Tewkesbury borough residents. It’s great to know that, through the Treecycle scheme, we’re able to prevent thousands of trees from being sent to landfill." Wishing all Maisemore residents a very Happy Christmas and a wonderful New Year. Healthwatch Gloucestershire (HWG) received a substantial amount of feedback from the public last year relating to the difficulty some of you have in obtaining a same day non-urgent GP appointment. As part of its annual work plan HWG has decided to look into this issue in more depth, by way of a survey. By completing a short survey you will enable Healthwatch Gloucestershire to highlight some of the key issues, areas for improvement, but also examples of good practice at our local surgeries. The survey will only take a few minutes to complete and the deadline for response is 5pm on Wednesday, 18th January 2017. All completed responses will be included into HWG's prize draw. The Over roundabout is now set have a £2.23million overhaul planned for 2018 to improve traffic flow for commuters. The cash injection has come from GFirst Local Enterprise Partnership to improve the busy junction of the A40 and A417, reports the Gloucester Citizen. The work involves widening the approaches from Maisemore and Longford from two lanes to three. A third lane would also be added around the island. 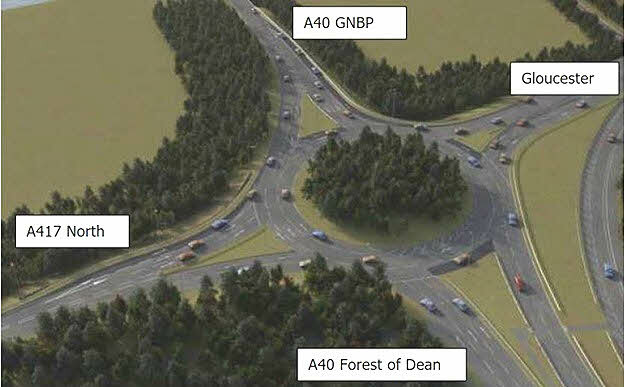 It is hoped the project will reduce queuing at the roundabout and improve journey times on the A40 and A417. Councillor Nigel Moor, cabinet member for fire, planning and infrastructure at Shire Hall, said he was looking forward to the work starting after the £9million Elmbridge Court roundabout scheme had been completed. “The work will increase the capacity of Over roundabout to help reduce congestion and keep traffic moving,” he said. The work is expected to start by spring of 2018 and be finished by that summer. It is part of the Gloucestershire Growth Deal – £77.5million secured by GFirst LEP to help grow the county’s economy. GFirst LEP brings together businesses to make the county successful and create jobs. Welcome to Maisemore Parish Council's new Clerk, Diane Baldwin, who takes on the role from 13th December. Councillors are delighted to have such an experienced and knowledgeable person as their Clerk and Responsible Financial Officer. Diane was the sucessful applicant from the interviews held on 5th December and has today met Parish Councillors to discuss how procedures can be improved to meet current legislation and guidance and comply with the Transparency Code. An immediate change will be that the question session at the beginning of each Parish Council meeting will now be integrated into the meeting itself so that it can be properly minuted. This session will enable parishioners to ask questions or give evidence on any matter on the agenda. Residents can, of course, ask for specific items to be included on the agenda, and this will normally be allowed providing the matter is within the remit of the Parish Council. Requests for any matter to be included on an agenda must be sent in writing or by email to the clerk (clerk@maisemore-pc.org.uk) at least 7 working days before the date of the meeting. This section of the agenda will be limited to a maximum of 15 minutes, and parishioners will be able to speak once on any agenda item. Members of the public will not be able to participate in any further discussion during the rest of the meeting, unless specifically invited to do so by the chairman. The next meeting of Maisemore Parish Council will be on 9th January 2017, when the budget and precept for 2017/18 will be set. Gloucestershire Wildlife Trust are running a free course on hedge laying at Wotton-under-Edge on Tuesday 31st January from 10am to 4pm. Details of what it is and how to book a place are here. The number of places is limited and anyone under 18 must be accompanied by an adult. Minimum age for anyone attending is 12. Maisemore children were at last able to help Jeremy Chamberlayne plant purple crocus corms around the Queen Elizabeth Avenue marker stone. The crocus planting is part of a Rotary International campaign - Purple for Polio - aimed at finally eradicating this disease. The planting was due to take place earlier in the year, but was postponed because of the torrential rain. Thanks to Hartpury School for allowing the children to take the time to be involved in this very worthwhile effort in their home village. 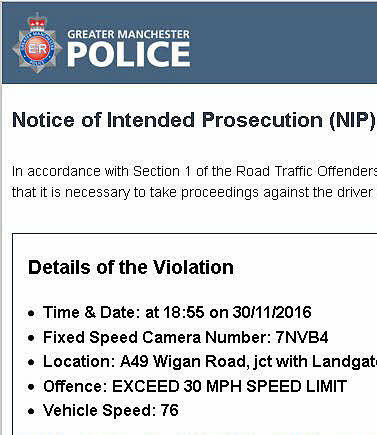 I've just had an email claiming to be a notice of intended prosecution from Greater Manchester Police. It isn't anything of the sort. 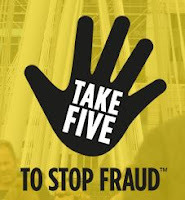 It's a plausible looking scam trying to extract money and/or bank details under false pretences. My suspicions were aroused by the fact that it did not carry a vehicle registration number - quite apart from the fact that I was nowhere near Manchester on the stated date. It's all too easy to fall for these scams. They are becoming more and more convincing - but one click on a link in such an email could be disastrous for your bank account. If you receive anything like this either report it to the organisation it claims to come from - without using any link or return email address in the scam itself - or simply delete it. Things to look out for are incorrect or obsolete email addresses, absence of any specific detail like an account number or car registration number and spelling or grammatical errors. Don't assume that the organisation's logo makes it genuine - images are easy to copy from the internet or scan from documents. Take 5 minutes to think about it and check before responding to any email that is unexpected. No bank or responsible trader will ever ask for your bank details, PIN or password.